He believed the dog was immortal. So begins Susan Orlean’s sweeping, powerfully moving account of Rin Tin Tin’s journey from abandoned puppy to movie star and international icon. Spanning almost one hundred years of history, from the dog’s improbable discovery on a battlefield in 1918 to his tumultuous rise through Hollywood and beyond, Rin Tin Tin is a love story about "the mutual devotion between one man and one dog" (The Wall Street Journal) that is also a quintessentially American story of reinvention, a captivating exploration of our spiritual bond with animals, and a stirring meditation on mortality and immortality. 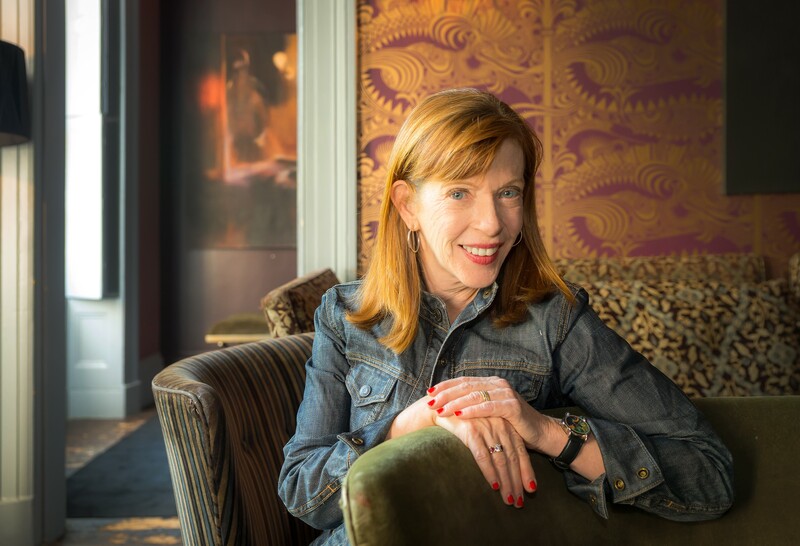 This reading group guide for Rin Tin Tin includes an introduction, discussion questions, ideas for enhancing your book club, and a Q&A with author Susan Orlean. The suggested questions are intended to help your reading group find new and interesting angles and topics for your discussion. We hope that these ideas will enrich your conversation and increase your enjoyment of the book. In Rin Tin Tin: The Life and The Legend, Susan Orlean traces the journey of Rin Tin Tin from a puppy on a French battlefield to an international brand, a set of ideals, and a legacy that has passed down from generation to generation. The narrative delves into the history of dogs in the military, obedience training and animal domestication, shifting social mores, and film and television history, all while keeping a steady hold on the personal stories of Rinty and the people who loved and trained him. Lee Duncan, a young American soldier, first stumbled across the newborn Rin Tin Tin in a bombed out animal shelter in the fields of France. Lee took Rinty back to America, and, through a twisting path of luck and devotion, Rin Tin Tin became a Hollywood icon. The idea of Rin Tin Tin grew from the values embodied by a single dog in silent films into something much bigger than Lee had perhaps imagined—into an idea, an emotion, a character residing in national and international consciousness. 1. Were you familiar with Rin Tin Tin before reading this book? What memories do you have of the famous dog? What was it like to delve back into the history of Rin Tin Tin? If this was your first introduction to him, what impressions did the book give you? 2. Orlean attributes Lee’s fierce love of dogs to his traumatic childhood, in which both his mother and father abandoned him for a time. As Orlean writes: "The experience shaped him; for the rest of his life, he was always deeply alone…The only companion in his loneliness he would ever find would be his dog, and his attachment to animals grew to be deeper than his attachment to any person." (p. 15) Do you agree with this assessment? What other forces, if any, contributed to Lee’s love of dogs? 3. Lee and the first Rin Tin Tin shared an incredibly close bond. Do you think Lee’s devotion to Rinty was more of an endearing character trait, or a symptom of deeper personal issues? Consider the many people who felt wronged or resentful toward Lee—his daughter Carolyn, his wife Charlotte, and his wife Eva, in your answer. 4. Lee steadfastly believed that Rinty was destined for greatness and, as Orlean writes, "he was lucky to be his human guide and companion." (p. 34) Do you think Lee underestimated, or misunderstood, his importance in creating the Rin Tin Tin juggernaut? 5. On the strangely frequent coincidences that kept Rin Tin Tin’s narrative alive, Orlean writes, "Everything connected to Rin Tin Tin was full of happenstance and charm, lightning strikes of fortune and hairpin turns of luck; from a standstill, life around Rin Tin Tin always seemed to accelerate out of the depths of disappointment to a new place filled with possibility." (p. 262) Reflect on a few such serendipitous moments. Do you think life tends to look coincidental in hindsight—or was Rin Tin Tin’s story really blessed? 6. Although he never made concrete plans to ensure the continuation of Rinty’s legacy, Lee insisted that "There will always be a Rin Tin Tin." (p. 3) Was Lee being prophetic or delusional—or both? 7. The original Rin Tin Tin was considered essentially human in popular culture. A review of one of his films, for example, describes his eyes as conveying something "tragic, fierce, sad and…a nobility and degree of loyalty not credible in a person." (p. 71) Why was Rinty so completely and earnestly anthropomorphized by millions of fans? Where do you stand on the scale from "a dog is a dog" to "Rin Tin Tin was essentially human"? 8. Orlean notes that "when Rin Tin Tin first became famous, most dogs in the world would not sit down when asked." (p. 123) With that in mind, how much of the awe and reverence surrounding Rin Tin Tin the first would you attribute to the novelty of trained dogs? How much stands the test of time? 9. At the height of his earning power, Rin Tin Tin was paid eight times as much as his human co-stars. Do you think this was fair? Why or why not? 10. Orlean writes that Rin Tin Tin, alive on the screen, "was everything Americans wanted to think they were—brave, enterprising, bold, and most of all, individual." (pp. 87, 89) How much of Rin Tin Tin’s emotional depth do you think came from viewers projecting their own feelings on him? 11. Orlean writes, "As his fame grew, Rin Tin Tin became, in a way, less particular—less specifically this one single dog—and more conceptual, the archetypal dog hero." (p. 97) In what ways did Rin Tin Tin shift from a literal representation to a symbolic figure? What specific moments, if any, highlight this shift? 12. How did the evolution of the film and television industries dictate the various reincarnations of Rin Tin Tin? Why was Rin Tin Tin—the dog and the archetype—so wildly successful, both in films and later in television? 13. By the late 1950s, Rin Tin Tin’s aura of invincibility was beginning to wear off. Orlean explains, "Now, instead of being a miracle, he was a model. He was the dog you could aspire to have, and maybe even manage to have, at home." (p. 217) What explains this shift? Is it necessarily a bad one? 14. The criteria used to determine Rin Tin Tin’s descendants evolved as the Rin Tin Tin ideal expanded through time and across mediums. As Orlean concludes, "The unbroken strand is not one of genetics but one of belief." (p. 137) Why did this evolution from genetics to belief occur? Do you think this reliance on human decisions, rather than canine pedigrees, undermines the magical reverence of Rin Tin Tin the first? 15. Orlean writes that at one point she felt like "everybody I met or heard about in connection to Rin Tin Tin was a little crazy." (p. 282) Do you agree? Why or why not? Consider the various actions that Lee, Burt, and Daphne took in the name of defending Rin Tin Tin’s legacy. 16. Bert takes over as the protagonist of the book after Lee dies. How do you feel about the way the narrative continues after Lee’s death? 17. What do you think Lee and Bert would have thought of this book? 18. Orlean wonders, of the many different iterations of Rin Tin Tin, "Could that wide, wide range of manifestations really belong to anyone?" (p. 297) What do you think? If yes, who owns which parts of the legacy—legally, sentimentally, practically? Do you think Orlean herself now owns a part of the legacy, too? 19. Orlean writes that she sometimes "began to wonder if the legacy of RTT was finally contracting." (p. 311) What do you think? How does her book factor in this observation? 20. Orlean delves into many historical events and movements in the book—dogs in the military, obedience training, movie and television history—to name a few. Which facts surprised you the most? 21. Do you believe that there will always be a Rin Tin Tin? Why or why not? 1. Pull up some Rin Tin Tin clips on the Internet—a search for "Rin Tin Tin" on www.youtube.com will do the trick—and watch the videos with your group. You can also check your local library for copies of Rinty’s films. Orlean writes, "It may seem absurd to claim that Rin Tin Tin was a good actor, but after you see this scene, it’s hard to deny." (p. 83) Does watching clips change your opinion of Rin Tin Tin’s acting abilities? Are you more or less convinced? 2. Rin Tin Tin’s first rush of success in silent films came from his ability to evoke emotion without speaking. Play a game of emotion charades together—that is, charades with different emotions as the clues—to give yourselves a taste of silent acting. Do you have a greater appreciation for Rin Tin Tin after having tried to emote silently yourself? Do you think you’d be able to hold your own in a scene with the original Rinty? 3. Rin Tin Tin as a dog provided unending loyalty and devotion to Lee, and Rin Tin Tin as a canine ideal inspired millions of viewers with his heroism and strength. Spend some time in book group exploring the relationship between humans and dogs. If people in your group have dogs, bring them to your gathering (maybe go for a walk together! ), and share your experiences. Why did you get a dog? What traits do you most love in your pet? What was obedience training like? If no one has a dog, or if you’re feeling adventurous, contact a local dog shelter and inquire about volunteer walking. Do you feel that you understand Lee a bit better after spending time with his favorite companions? For more information on volunteer dog walking, visit: http://volunteerguide.org/volunteer/fewhours/dog-walkers.htm. To locate and find contact information for a shelter near you, use ASPCA’s shelter search: http://www.aspca.org/adoption/shelters/. You traveled around the country (and indeed across the Atlantic) in search of significant locations in Rin Tin Tin’s story. In which spot did you feel the most connected to Rin Tin Tin? ? Sitting in the Riverside museum, surrounded by Lee’s papers, made me feel the closest to Rin Tin Tin. In part this was because of Lee’s intense relationship to him, but even more because the material wasn’t only the big public material connected to the dog but also the small things that made him seem so real—invoices, train schedules, correspondence, telegrams, even paw prints. It gave intimate texture to the idea of Rin Tin Tin and what he had been. Have you showed Rin Tin Tin films or TV shows to your son? Do you hope that he’ll grow up with a sense of Rin Tin Tin osmosis in his life, as you did with yours? I’ve shown him both films and TV shows, and he loves them! I did it at first just to help him understand what I was working on, without any thought that he might fall in love with the dog. And yet he did! Moreover, he announced to me that he has "always, always wanted a German shepherd." (He’s not yet seven, so "always is a relative term.") I’m afraid I’ve drawn him in to the Rin Tin Tin legend without really having anticipated it. You have a lot of animals at your home in New York. Do you ever feel connected to them emotionally in the same way that so many fans felt connected to Rin Tin Tin? Living with animals while working on this book was very helpful: I was constantly reminded of the particular relationship we have with them, and especially the comfort and companionship they so perfectly provide. Also, unfortunately, my dog Cooper died when I was almost done writing the book. I revised some of the sections about Rin Tin Tin’s death and about Lee’s loss of various pets after Cooper died, because the sharpness of that pain made me rethink how I wanted to write those sections of the book. What facts from your extensive research struck you as totally wild, totally unexpected? What surprised you the most? Rin Tin Tin doesn’t lack for emotional depth, even though you didn’t seem to take any questionable interpretive liberties with your source material. How did you balance maintaining factual accuracy with crafting an emotionally appealing narrative? The whole book was informed by the real emotional narrative, which was my following a childhood passion to its source. When you start with authentic emotion, the rest follows very naturally. Every discovery felt like an enlargement of that original, genuine emotion of wanting to understand everything I could about this longtime fixation I had. At the same time, I felt it was important to tell as much of the reporting in a straight forward manner; it was history that didn’t need embellishment. The emotion came more of the gathering up of the narrative threads. Were there any parts of the book that you loved dearly, but had to cut out of the final draft? If so, do tell! I had a few sections that ended up on the cutting room floor. One was a long section about attending a Hollywood collectibles show, which was hilarious and sad and awful and funny all at once. I spent a lot of time there with one of the original Little Rascals—or so she claimed—and it did suit the book’s theme of shifting identity. But it was just too long and too far afield and felt out of place where I had put it, and I could never find another spot where it really fit, so I hit the "delete" button. The right decision, I think, but painful! Do you personally relate more to Lee Duncan or Bert Leonard? Tough choice! I probably relate a little more to Bert. Lee was so opaque, in a way; Bert was so much more fiery and passionate. I’d have to say I tend more Bert’s way than Lee’s. Were you surprised that the Rin Tin Tin legacy fell into legal disputes, or do you think the legal battles are to be expected given Rin Tin Tin’s trajectory? Did you purposefully avoid taking readers down the disputes’ complicated paths in your book? The legal wrangling is to be expected when you have a character that had so many permutations and so many people claiming bits of it. On top of that, Hollywood has become such a morass of rights and options and litigation and property that any figure, like Rin Tin Tin, that has had a long life and a lot of success is going to be tangled up in those weeds. I didn’t want to detail the lawsuits excessively—I felt that noting their existence and the basic facts was sufficient. The point more was to show how the simplicity of Lee’s relationship to Hollywood was in such dramatic contrast to what followed. If you could go back in time and spend one day with Lee and Rinty, what would you most like to do with them? Do you have any lingering questions in your mind that you’d want to pose to Lee? I would have given anything to walk down Sunset Blvd. with the young Lee and the young Rinty, watching Lee knock on studio doors and beg for a chance to show off his dog. What an experience that would have been! The lingering questions I have for Lee: how did he really train the first Rin Tin Tin? Was the dog somehow supernatural in his talent, or was it just the result of their special connection? What did it feel like to suddenly have his pet the object of international acclaim? What were his happiest moments? Was it when he found the puppies—or when they found so much success? Or was it when he and Rinty went out into the Sierras together for the last time, reliving the plain pleasure of companionship? 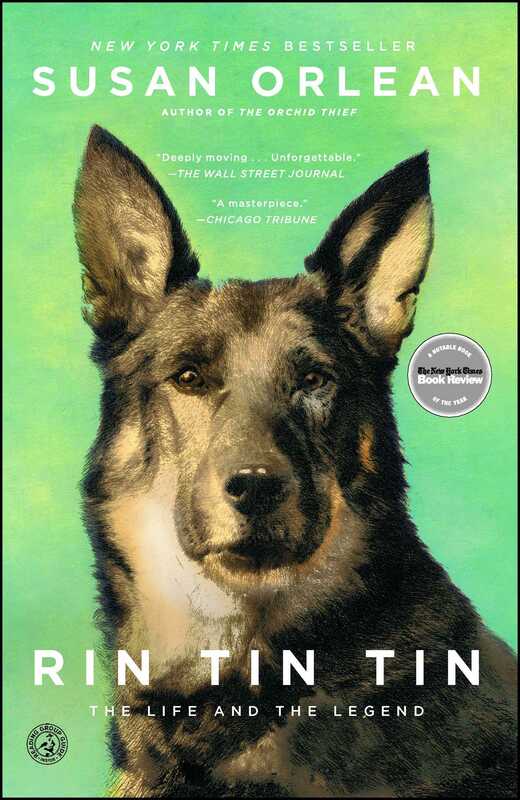 Did you have a particular kind of reader (young, old, urban, rural) in mind while you wrote Rin Tin Tin? Who would you most love to catch reading your book on a subway in New York City? I dreamed that my readers would be a mix of people who were simply smart and curious. I didn’t mind if they had never heard of Rin Tin Tin or didn’t even like dogs. My dream subway reader would be someone about my age or perhaps a little younger, who would be jostled by riders nearby but didn’t even notice because he/she was so absorbed in the book. You said in an interview in the Los Angeles Times, "People who like to define themselves narrowly interest me, because it feels very alien to me." How else do you define yourself in ways that your readers might not realize? I think of myself as a performer, a story-teller. I also think that, like many writers, I have a ridiculous, persistent need for people to like me. I suppose telling them interesting stories is my way of trying to earn their affection. Now that your Rin Tin Tin journey is coming to a close, where do you think your curiosity will take you next? – People magazine's "Great Fall Reads"
“Move over Seabiscuit, Rin Tin Tin will be the most-talked-about animal hero of the year and beyond. . . A spectacularly compelling portrait . . . Engrossing, dynamic, and affecting."